LFB USA is a company within the LFB Group, a leading European biopharmaceutical company specialized in innovative biotherapies, marketing its medicinal products in more than 30 countries around the world. Within the LFB Group, LFB USA is a development, manufacturing and services provider to LFB S.A. in France and rEVO Biologics in the United States. LFB USA is a catalyst for the advancement of revolutionary medicine. The company is committed to overcoming barriers to advancing medical care by utilizing its own innovative technology to develop programs, and through establishing and fostering dynamic relationships with its partners with a full range of services offered. LFB USA is rooted in science, and driven to answer unmet medical need. A deep understanding of disease states and complex medical conditions, and a determination not to be confined by science, but empowered by it, fuels the company’s ultimate purpose – commercialization of life-changing therapeutics. A cornerstone of LFB USA is its proprietary rPRO Technology™ – a remarkable approach to protein production that is differentiated by its ability to avoid the limitations of cell culture production methods. The company’s rPRO Technology™ harnesses a robust expression platform, using recombinant DNA technology for the creation, optimization and commercial production of a new generation of improved protein therapeutics. The result is a more natural, scalable and cost-effective process of protein production. Breakthrough technologies only make a difference when applied intelligently with the right resources. 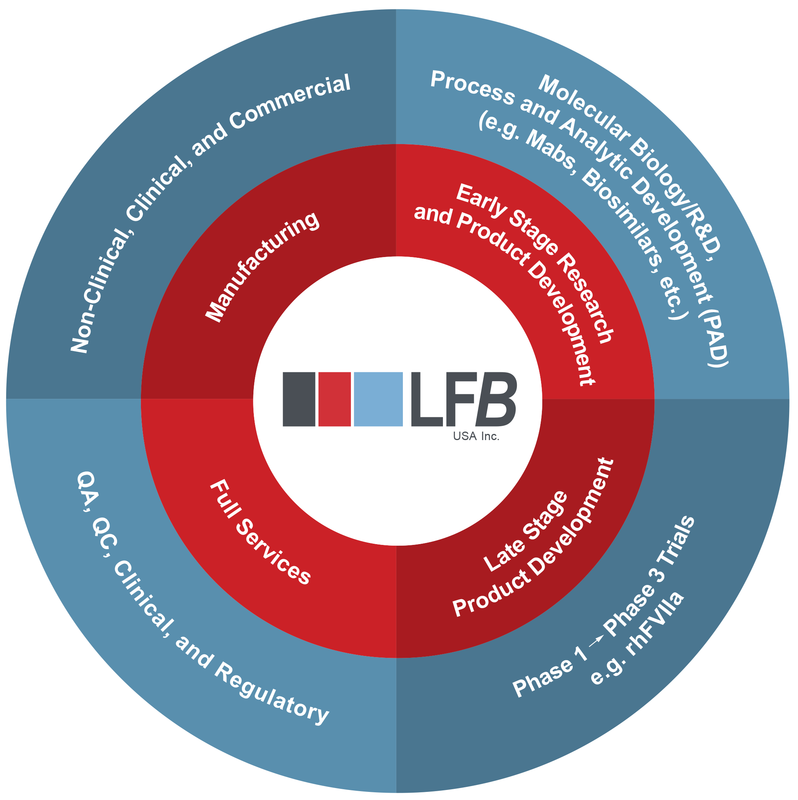 From research to early stage product development and on to commercialization, LFB USA offers the full spectrum of services that not only powers LFB S.A.'s pipeline but also brings marked benefit to its valued partners and collaborators. What results is the ability to move forward new or improved protein therapeutic programs and achieve goals that will better peoples’ lives. Discover how LFB S.A.’s pipeline is powered to produce a new generation of proprietary therapeutics. Learn how rPRO Technology™ is revolutionizing recombinant medicine. It’s protein production like never before.